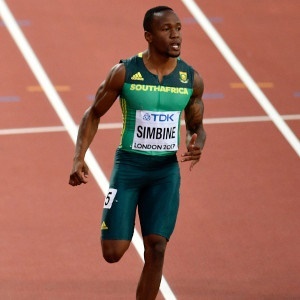 Cape Town - Akani Simbine will take part in the final of the men's 100m after winning the first semi-final heat at the IAAF World Championships in London. Simbine, who was running in the first lane, stopped the clock in a time of 10.06, as America's Justin Gatlin finished second in a time of 10.09 - the first two fastest qualify automatically for the final. The South African was looking to get his London campaign off to a solid start after only making it out of his heats as a fastest loser on Friday. The men's 100m final takes place on Saturday at 22:45 SA time.